New to Pinterest? Looking to grow your following? Bridge the gap between your customers online and in-store experience. Featuring your most pinned products is an easy way to capture a customer’s’ attention and boost sales for those particular items. If they’re trending on Pinterest, chances are your in-store customers will want to jump on the bandwagon. In three simple steps, you’ll be able to create an eye-catching in-store display that incorporates the Pinterest experience. Navigate to your Profile from the Analytics drop-down menu in the left corner of Pinterest. Once you’re in Profile Analytics, click on the Repins tab to find out which Pins are currently trending. You can arrange the data by one, seven or 14-day intervals. Your Repinned tab and other site metrics can work together to help you learn more about your customers’ interests. Using the data from Pinterest Analytics, figure out which trends and products your audience is engaging with most. When browsing your Repins, write a list of the most popular products from those pins. Take that list to your store. Ensure that all items from your list are in stock and display-ready. Design a store display featuring your list of Most Repinned items. As a finishing touch, print out our Pinterest signage to attach to your products. Your new in-store Pinterest display will be sure to spark curiosity and interest for your most popular Pins. You’ll also have the opportunity to attract more Pinterest followers with the help of your display. To make it easier, we’ve provided you with some printable signage to help get the job done. 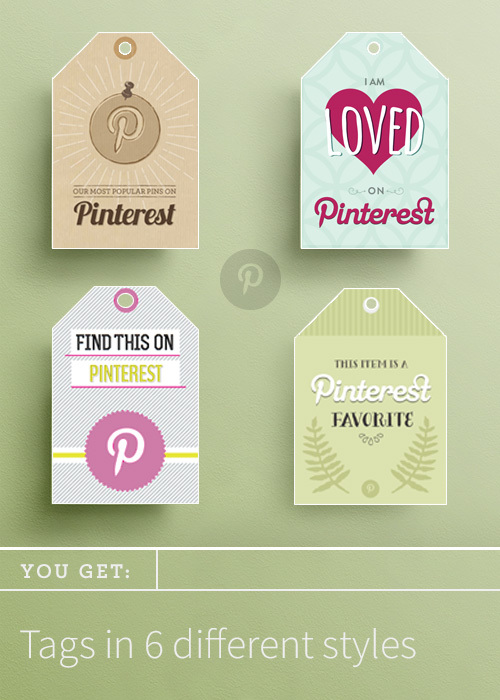 Download the signs and get Pinteresting in your store!